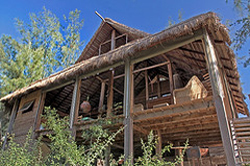 Tofo hotels, accommodation and places to stay. 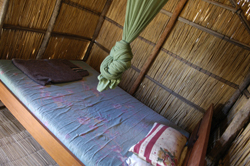 Guide to where to visit and where to stay in Tofo Mozambique. 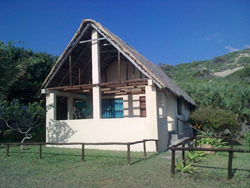 Information on Tofo Mozambique, location of hotels, lodges, camp sites, guest houses, bed and breakfasts and places to stay in the Tofo area of Mozambique. Distances from major attractions to Tofo and information about shops, fuel and facilities. 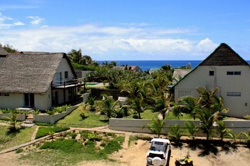 Tofo is a small village with a lovely sandy bay near Inhambane Mozambique. 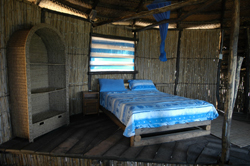 Tofo has several places to stay including some self catering chalets a hotel and some bed and breakfasts. 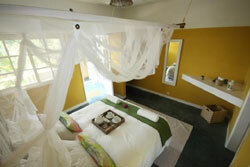 Baia Sonambula (“Sleeping Beach”) offers an understated stylish beach hideaway at the rustic beach village of Tofo. 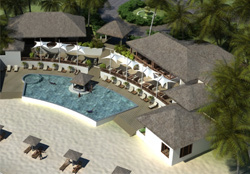 With just 6 rooms, relaxation, privacy and comfort are our priority. This is a place to feel at home and with a maximum of 10 guests staying at any time, Baia Sonambula will always feel like your own private retreat. 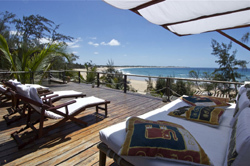 Experience the tranquillity of the Mozambique coastline! 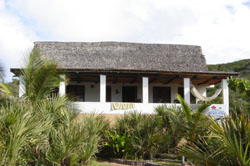 Tofo is an awesome beach town, in the Inhambane province 550km north of Maputo. No need for a 4 x 4, Tofo and the 3 cottages are reachable with a normal car. 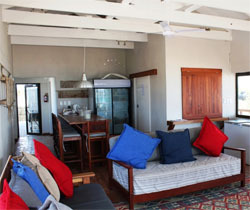 Tofo Beach Accommodation offers 3 self-catering, basic and rustic-styled cottages. 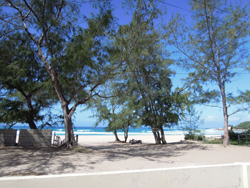 Casa Derika, a 2 bedroom beachfront cottage, sleeps max 5 and is on the main beach in Tofo. Casa Isabel, a 2 bedroom seafront cottage, sleeps max 6 and is in Tofinho. Casa Christine, a 2 bedroom with loft seafront cottage, sleeps max 7 and is also in Tofinho. 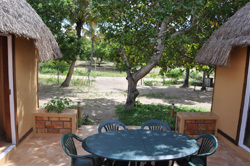 Mozambeat Motel has all the facilities to ensure that you enjoy a relaxing stay with us at our tropical oasis. 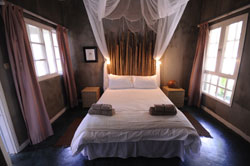 With a range of clean and spacious accommodation, a refreshing pool and a soundtrack to make life feel just that bit sweeter, Mozambeat Motel is the perfect place to relax, meet people and discover the beauty of Mozambique..
Casa de Beija Flor translated stands for 'House of the Flower Kisser' and was so named as the rare Neergaard's Sunbird was identified on the site where the lodge is built. 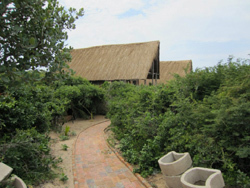 The two casita's (thatched roof houses) can each comfortably accommodate 4 people making Casa de Beija Flor a perfect holiday spot for a small intimate group of friends or family. We are 200metres from Tofinho's beach which is ideal for fishing and surfing ,swimming and bathing in the sun and a 5 minute walk from Tofo's beach which is ideal for mingeling with other holiday goers and swimming and bathing in the sun. Amigo lodge is a property surrounded by a beautiful garden with 5 en suite bedrooms , all with private balcony and sea view. 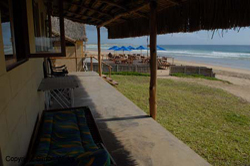 We are located at Tofo Beach Inhambane , home fro great diving and spotting of whalesharks , mantas all year round . 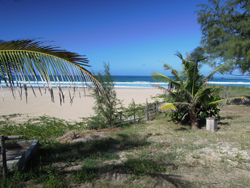 Tofinho beach is also known for great surf and relaxing spot. 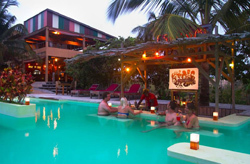 Casa Malcampo is situated in the idyllic Tofinho, a picture perfect village on the temperate Indian Ocean with average water temperatures of 24C. 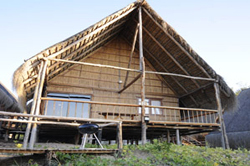 Nearby Inhambane (10km East) offers lively street cafes, rich Mozambique culture, vivid markets and local fishing boats or dhows, which sell catches of fresh seafood up and down the shore. 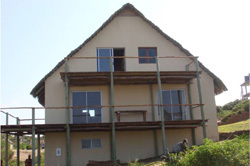 Accommodation consists of three newly completed, light and airy beach houses. 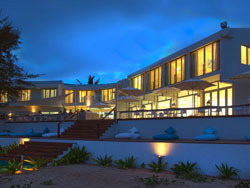 All with uninterrupted views of the sea, the famous Whale shark Point, Tofo and Tofinho Beach. 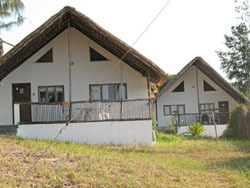 The area is one of the more established resorts in the Inhambane region of Mozambique. A combination of pristine swimming beaches and reefs that boast abundant sea-life (including the celebrated whale shark and manta ray) make it appealing to tanners and scuba divers alike. 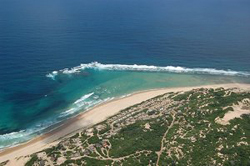 Tofo Beach has also become a favourite destination for surfers traveling to Mozambique. 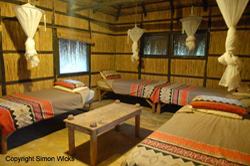 One of our smaller but equally inviting house, Casa de Golfinho, offers alternative accommodation. 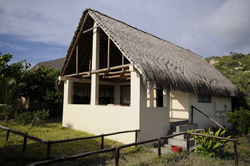 Casa De Malcampo is the ideal vacation destination if you appreciate the outdoors. 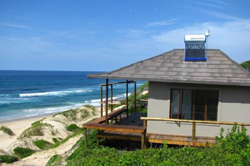 This slice of paradise offers great beaches, surfing, fishing and diving all on your doorstep. 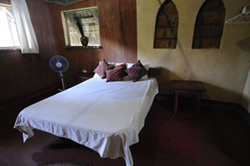 Similar layout as the other houses provide three restful double-rooms and a comfortable dorm-style room with four single beds. Amenities consist of a luxurious interior bathroom and convenient outside shower and toilet. These elegant designs have an open-plan living area that extends out onto a timber deck, with an oversized wooden dining table. 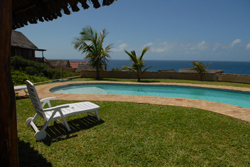 The sea views for which the property is renowned can be enjoyed from this and the above deck. 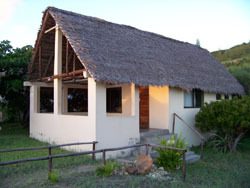 The double storey Casa Baleia is the main house of Malcampo. 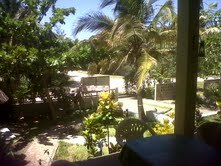 Located within walking distance from the beach, with panoramic ocean views. 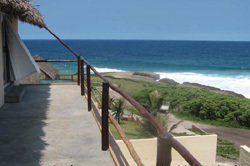 Panoramic views from the house reach as far as Whale Shark Point and Tofinho beach. Our main double-storey house features six double bedrooms, four bathrooms and a scenic outdoor shower for the adventurous spirit. 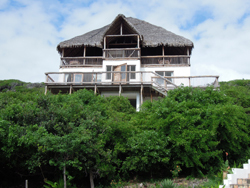 Panoramic views from the house reach as far as Whale Shark Point and Tofinho beach. The spacious layout includes a large open-plan kitchen and dining room, with the living area opening out onto a generous wrap-around balcony overlooking the sea on the front and a sheltered garden and courtyard at the back. 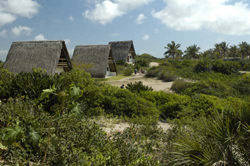 Tofo is linked by tar road to Inhambane while Barra peninsula is not far away. In the centre of Tofo is a busy market place selling basics and souvenirs and Tofo has a couple of restaurants, a surfers café, two excellent Padi Dive centres: Tofo Scuba and Diversity Scuba both offering daily diving trips out to the many reefs off Tofo - where you can regularly spot Manta rays and you can also snorkel with Whalesharks. From July to October Humpback whales with their young pass by and can be spotted from the shore at Tofo point and Tofinho. 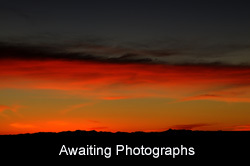 The following activities are available in Tofo and can be arranged by all the lodges and holiday resorts in the area.